As mentioned, Sebadoh will release Defend Yourself — their first new album in 13 years — on September 17 via Joyful Noise Recordings. You can stream the first single, “I Will,” and check out a trailer for the album below. If you’d like to hear the whole thing, Sebadoh is sponsoring “Test Pressing Listening Parties” at 11 record stores around the country this Saturday (8/17). The NYC location is Permanent Records in Greenpoint and they’ll be playing the record throughout the afternoon. Says P-Recs, “rumor has it some members of the band might even come by during the day to listen with us.” (Lou Barlow will be in LA but Jason Loewenstein does live in the general North Brooklyn area.) The test pressing, autographed by the band, will be given away at the end of the day. All listening party locations are listed below. 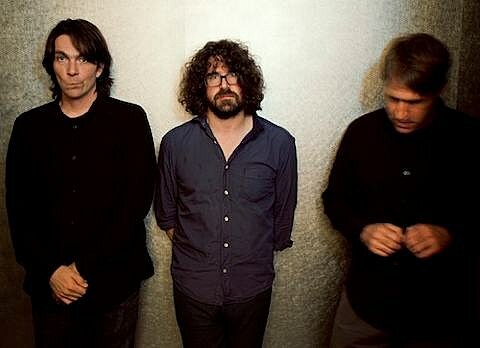 In other news, Sebadoh has announced a short November tour that begins at Bowery Ballroom on 11/1. Tickets for that show go on sale Friday (8/16) at noon with an AmEx presale beginning Wednesday (8/14) at noon.